This mini alice pack is a smaller version of our full size large rucksack. It is made of 600 Denier polyester and comes with shoulder straps for easy carrying. 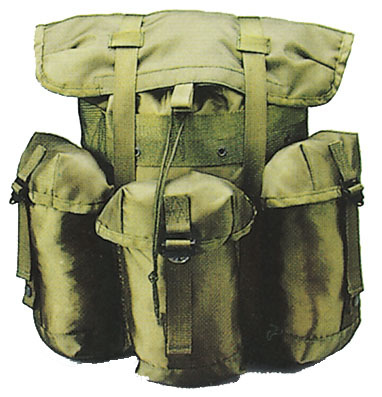 It is a perfect size for a get away bag or a small bug out bag. Size: 14 1/2" x 12" x 7"